So I finished my Wildlife Challenge. It was fun to do. 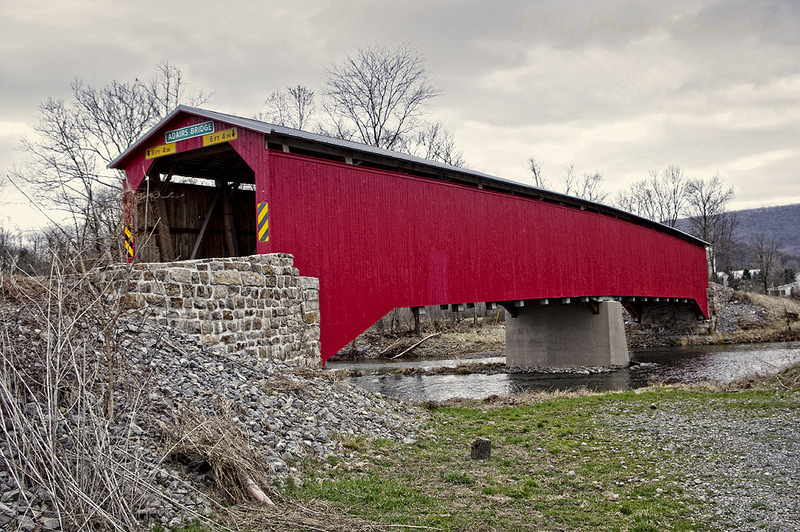 Today I am dipping into the archives again and posting an image that I re-worked from several years back on an outing to see covered bridges in Pennsylvania. 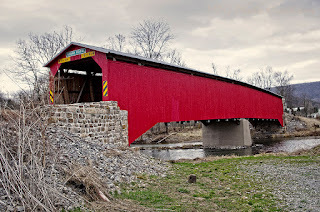 This was a fairly long one in central PA called Adairs Bridge. All of the bridges we saw that day were painted red, it was just that they were in varying states of decay. This one has seen some work done to it. It's nice to see this bit of history still in existence.